Tonight I had a 4th coaching session with a client, and she did great. 😀 She really out the effort in and worked hard. This was our second ‘Distance Trial’ as I like to call them. 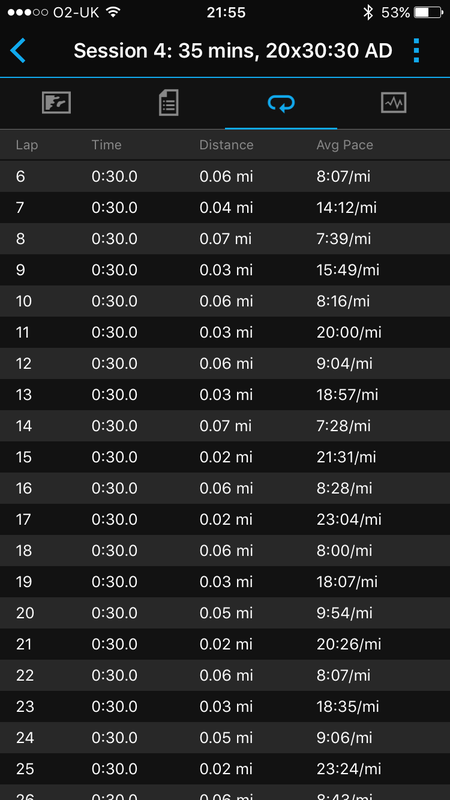 You run intervals, over 35 minutes (or 25 or 45 or 60) and you see if you can beat the DISTANCE you ran from last time. Don’t get me wrong, Distance Trials are nasty, but they’re good once they’re done! 5 minute cool down: 2.95M. 5 minute cool down, and she ran 2.98M! And the beauty of it is we all get a different distance outcome, which is individual to us. And one that only we can compete against (ourselves). No, what’s your 5k time? questions. Just 35 minutes, see how far you can run. And can you beat the distance you did last time. 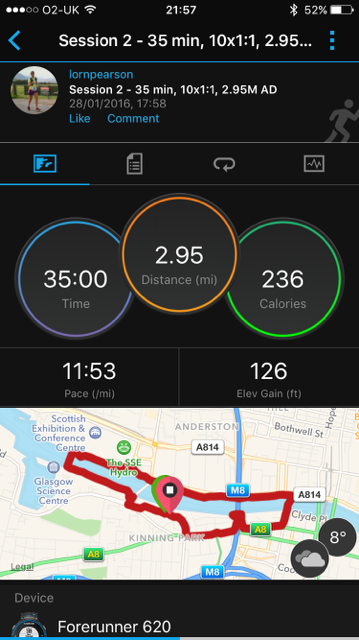 I prefer to do these (distance trials), and I like to push my clients to do these too (rather than time trials) – as it can help emphasise that time doesn’t matter, it’s all down to you, the effort you put in and the conditions. It’s also a great workout too. Time in running becomes an outcome of YOU and your effort (fitness, age, effort, weight, ability, consistency) and the conditions (weather, hills, flat, course).